I have attempted to give some credit where it is due, as I am aware it is due. I hesitate to mention the sources where I have learned some of the material when I know it is not the original source. For example, basic overhand shuffling controls, the jog, break and packet pick-up were techniques I learned from independent sources and I am not aware of the origin of these techniques. Many of the other techniques, while I discovered them independently, or worked out my techniques independently do of course date back a considerable period to one author or creator or another. Naturally, the first in print is not necessarily the first inventor of the technique, but I would like to note a few in particular. The earliest reference to false deals in print was "Liber Vagatorum" in 1509. Ed Marlo's "Seconds, Centers & Bottoms" in 1960 is considered the first comprehensive examination of the topic virtually all aspects of false dealing. The earliest known reference of the second deal is apparently "Opera nuoua doue facilmente potrai imparare piu giuochi di mano et altri giuochi piaceuolissimi & gentili come si potra legge[n]do uedere et facilmente imparare" a four part pamphlet published by G. S. di Carlo da Pavia around 1520 but this reference includes no descriptions. Erdnase describes a push-off second deal. "Poker" by Theo Hardison in 1914 describes a strike second. Finally, one of the most prominent sources was "Expert Card Technique" in 1940 by Hugard and Braue. A one-handed second deal was described in "Greater Magic" by Hillard in 1938. Paul LePaul published his method in "The Card Magic of Paul LePaul" in 1959. The earliest reference to a bottom deal is found in "Le mespris & contennement de tous ieux de sort compose Oliuier Gouyn de Poictiers" by Olivier Gouyn in1550. Another early reference to the move in terms of a description is Erdnase in 1902. Allegedly, Hillard published a one-handed method in "Greater Magic" in 1938. The earliest reference to a third deal is found in "The Magic of Rezvani" in 1949. The earliest published method seems to come from Ed Marlo's "Seconds, Centers & Bottoms" in 1960. The first reference to a Greek deal is probably Koschitz's "Manual of Useful Information" in 1894. Another early reference is Theo Hardison's book "Poker" in 1914. 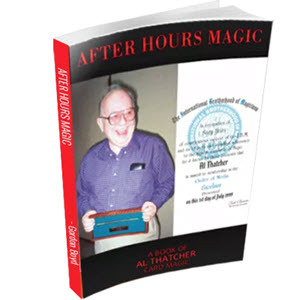 The earliest published method though is attributed to Allan Ackerman, "the minus one bottom deal" in his book "Magic Mafia Secrets" in 1970. Probably the earliest reference to a center deal is found in "Le mespris & contennement de tous ieux de sort compose Oliuier Gouyn de Poictiers" by Olivier Gouyn in1550, though without a method. Another early reference is "The Secret is Out" by W.H. Cremer in 1871. In terms of grips, I shall attempt to accurately convey the origins. The Erdnase grip is of course attributed to Erdnase in his 1902 book. The straddle grip, as near as I can tell dates back to Walter Irving Scott and first published in the manuscript "Phantom of the Card Table" by Eddie McGuire. Both the mechanic's grip and standard grip are far too old for me to trace. I believe the master's grip was, if not developed by, then first published by Ed Marlo in "Seconds, Centers & Bottoms". I believe this is also the first reference in print to the SF grip along with numerous others though I may be mistaken in that belief. Marlo also described in detail what he called "the master's take". Apparently, the concept of the shifted grip (I'm not sure of the details) was first examined in print by Gene Maze, though certainly not under that name. The D'Amico one-handed second deal is of course the brainchild of Carmen D'Amico and first published accurately in "Seconds, Centers & Bottoms", though it was published inaccurately prior to that in a couple other sources. 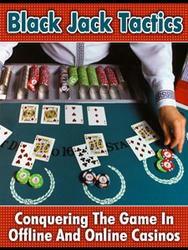 Tabled dealing was, as far as I know, first examined in print by Ed Marlo in "Seconds, Centers & Bottoms". The earliest known reference to the punch deal, though unconfirmed, is "A manifest detection of the moste vyle and detestable use of diceplay, and other practises lyke the same" by Gilbert Walker in 1552. A punch method of marking for suit and value was created by the French magician Charlier in the 19th century. A method for the punch deal was published in the "Phantom of the Card Table" manuscripts by Eddie McGuire, in reference to Walter Irving Scott's techniques. Ed Marlo also published some material on the concept in "Marlo in Spades" as well as later publications. The snap deal is a creation of Mr. Lennart Green. The Benzais cop is a creation of Johnny Benzais, though Persi Diaconis may have shown it to him. Finally, special thanks to Stephen Minch, Bill Kalush and others for assistance on the research, which I procured from the internet.